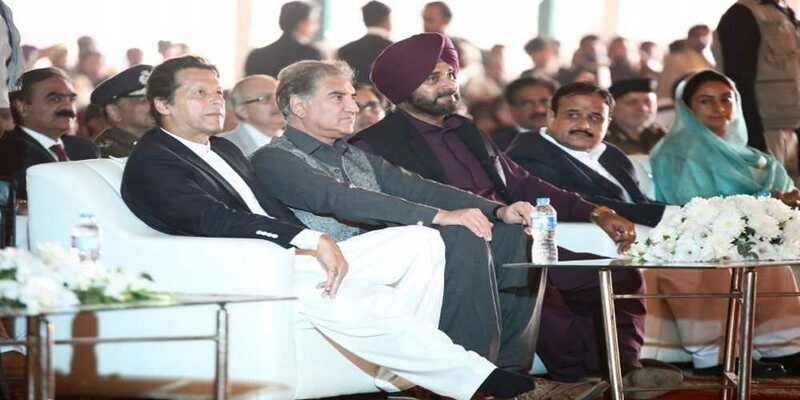 In a long-awaited move, Prime Minister Imran Khan on Wednesday laid the foundation stone of the Kartarpur corridor which connects Narowal’s Gurdwara Darbar Sahib to Dera Baba Nanak situated in India’s Gurdaspur. The premier had arrived for the groundbreaking ceremony flanked by Chief of Army Staff General Qamar Javed Bajwa, Foreign Minister Shah Mehmood Qureshi and Indian Minister Navjot Singh Sidhu. It was attended by federal and provincial ministers and foreign dignitaries. The groundbreaking ceremony was followed by Indian guests sprinkling Amrat Jal, holy water from the Golden Temple in Amritsar. Indian parliament member Gurjeet Singh Aujla walked barefoot to Lahore as a mark of respect.